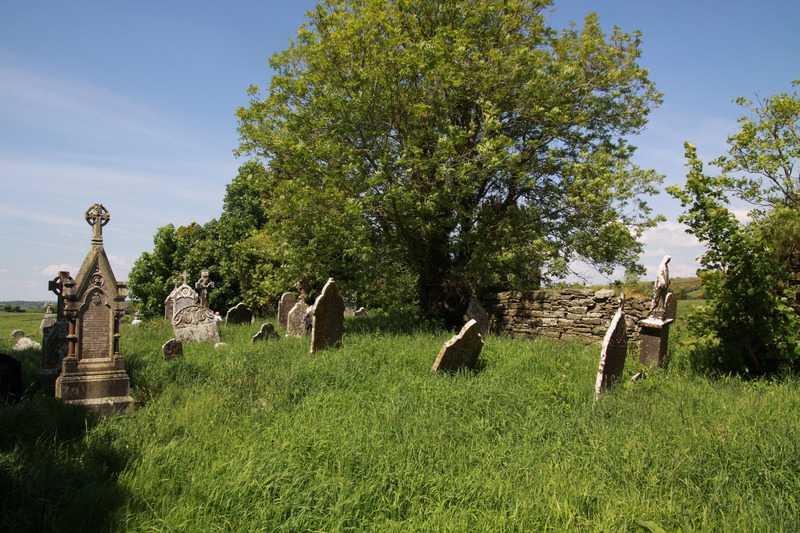 Rectangular graveyard containing the fragmentary ruins of Knockavilla parish church (CO085-054002-). Also known as Knockabilly or Knockavilly. 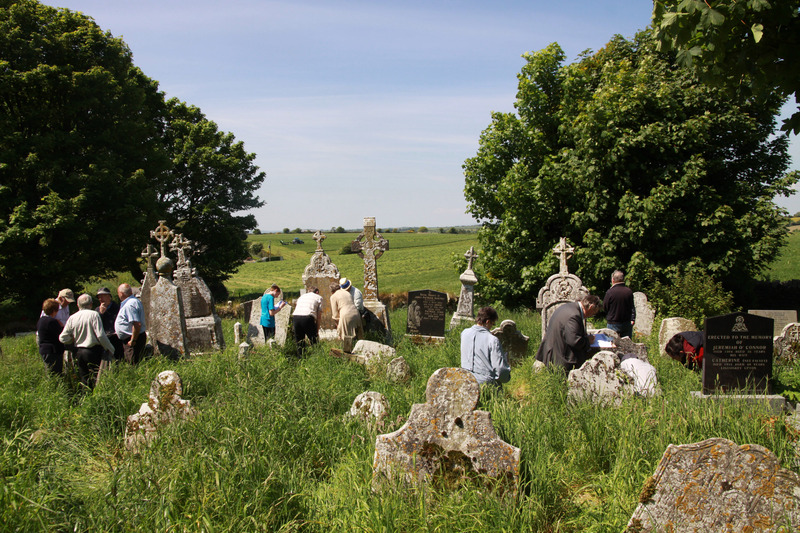 A local tradition attributes special significance to the grave of Rev Patrick Murphy (d. 1835) where rounds were paid in the past. The oldest history of the church goes back as far as 1291 when it was taxed at ten marks in the taxation roll of Pope Nicholas and it seems there was an even older church on the site that the present one is occupying (Hartnett 1939). From mid seventeenth century, the church fell into disrepair. 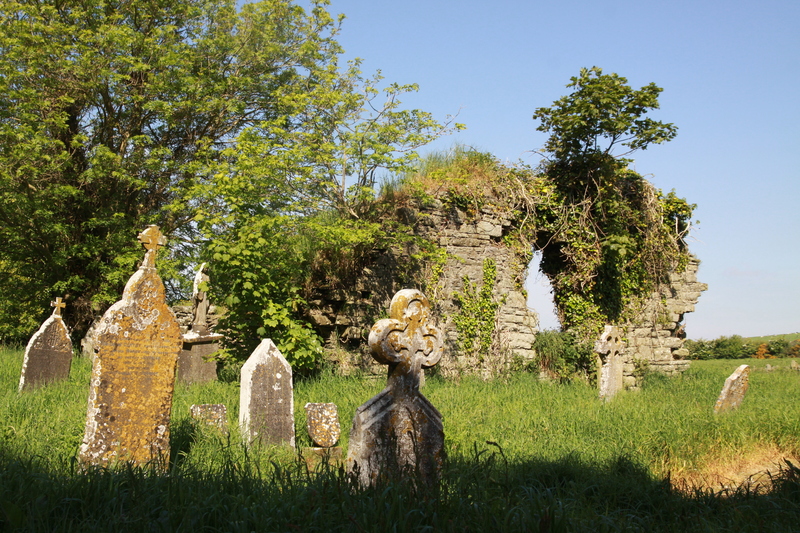 W.L Beaufort gave Joseph Garde thirteen acres, twelve roods and thirty perches of Glebe lands of Knockavilla in exchange for nineteen acres of lands at Raheen., which “lying near the site of the old ruined church are more suitable for any new church or glebe house which may hereafter be built”, while William Brady, in his parish records in 1832, refers to an old ruined church. Hartnett did a survey of antiquities and included this church where he gave measurements of 65ft by 32ft. He concluded that the masonry consisted of undressed stone, in irregular courses with a little lime mortar. 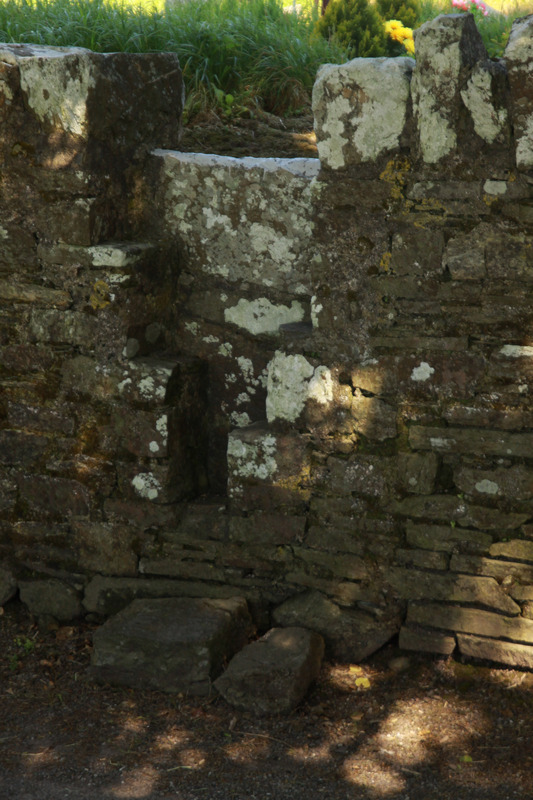 In the east wall, a ruined arched window. The Eastern and Western extremities of the South wall remains to a height of a few feet. The line of the West wall is encroached on by burials, while that to the North is razed to the ground. The Grave of Rev. 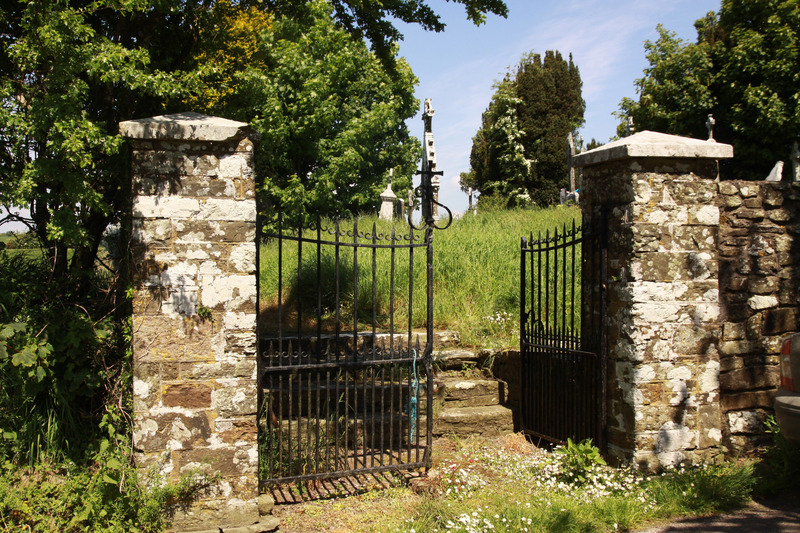 Patrick Murphy, P.P of Murragh who died in 1835 is the source of a local tradition. Apparently rounds were paid there by people seeking a cure for certain ailments e.g. Rheumatism, toothaches and neuralagia. Visits were made on Mondays, Wednesdays and Fridays. Earth from the grave was mixed with water and the mixture is applied to the affected part. 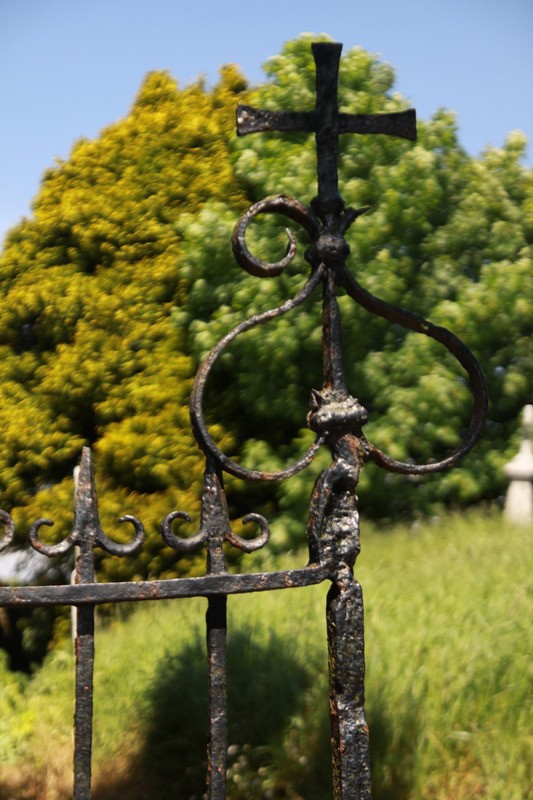 The visitor then made the sign of the cross on the headstone. This is no longer practised and no locals remember it ever been practised.